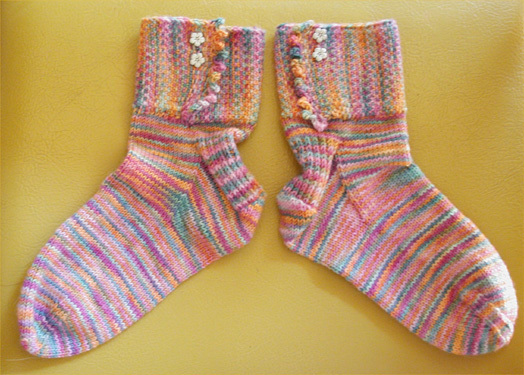 Rockin' Sock Club first socks! 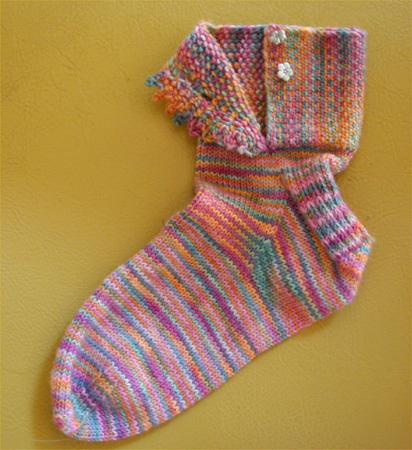 These are my first Rockin' Sock Club socks, and I love the colors and pattern! If it ever cools down from 106 degrees, I may actually be able to wear them. 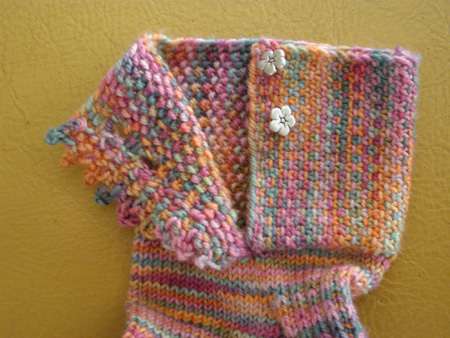 The linen stitch (see close-up of cuff) is very satifysing to do, to feel... to see! 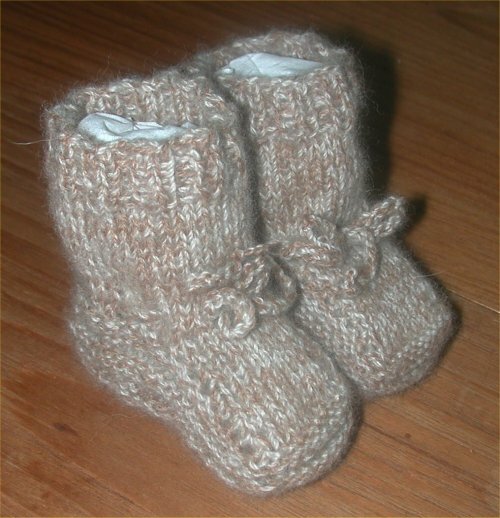 These are the same pattern as the red booties - I used one strand of lace-weight alpaca combined with one strand of lace-weight cashmere to create the tweedy effect. They are extremely soft. Adriene says they will go in the baby's hope chest!